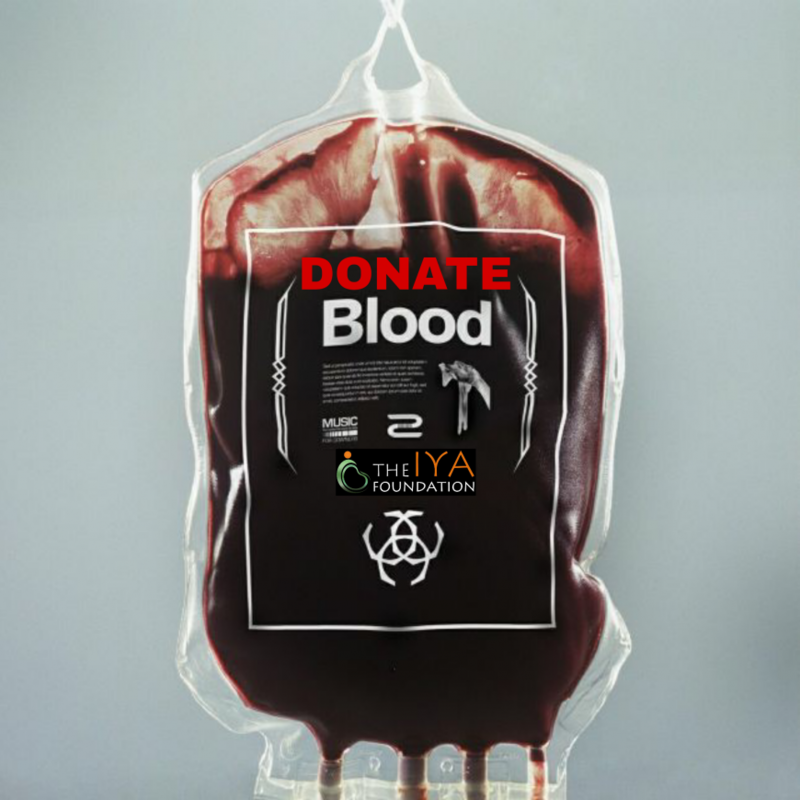 In the past couple of years, The Iya Foundation has funded an Epogen program at the Buea Regional Hemodialysis Clinic in Cameroon, Africa. Approximately sixteen (16) patients have benefitted from this multi-million francs cfa project. This program is an ongoing program and is being implemented this year as well. To help fund this program, click here. What is Epogen and Why is it so Important? Epogen is a prescription medicine that acts like the hormone Erythropoietin which is primarily produced by the kidneys and plays a key role in the production of Red Blood Cells (RBCs). RDCs are very important because they carry oxygen from the lungs to the rest of the body. 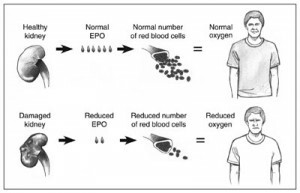 Epogen therefore helps the body to create more RBCs which in turn increase the hemoglobin levels in the blood. 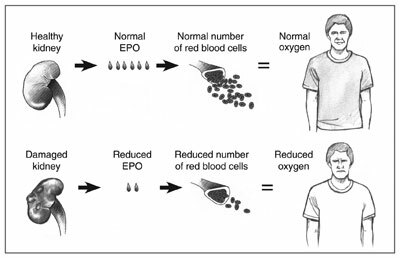 In Chronic Kidney Disease (CKD) patients on dialysis, Epogen is used to treat Anemia. What is Anemia and How Does it Relate to Chronic Kidney Disease? According to the National Institute of Health, Anemia is a condition in which the body has fewer red blood cells than normal. Although anemia may begin to develop in the early stages of CKD when a person only has 20 to 50 percent of normal kidney function, it tends to worsen as the CKD progresses. Therefore, most people who have total loss of kidney function or kidney failure, unfortunately also have anemia. This is because, diseased or damaged kidneys do not make enough Erythropoietin. As a result, the bone marrow makes fewer RBCs which then causes anemia. When blood has fewer than normal RBCs, it deprives the body of the oxygen it needs, leading to other health complications. Anemia in CKD patients is also caused by blood loss during hemodialysis treatments and blood testing, as well as low levels of Iron, Vitamin B12, and Folic Acid. These nutrients and vitamins are needed to make RBCs and Hemoglobin, but because patients on dialysis don’t usually get enough from their diet, they remain highly at risk of anemia. Diet and Nutrition – by eating foods containing high levels of iron, Vitamin B12, and Folic Acid, a patient may be able to increase their levels. Patients should seek guidance from their dieticians as some of these foods are also high in sodium or phosphorous which people with CKD need to limit in their diet. Anemia if left untreated can lead to heart complications such as irregular heartbeat, harmful enlargement of muscles in the heart, and heart failure. Anemia therefore needs to be treated in order to prevent serious health problems, lessen the need for blood transfusions, and to improve the quality of life of patients by helping them feel better.